Last Wednesday, front campus at UTSG was filled with bright costumes and lively music as University of Toronto students joined in the Caribana festivities. The afternoon event, which was organized by the University of Toronto Students’ Union (UTSU), offered students a chance to experience Caribbean food, music, and culture. Central to the celebration on Front Campus, Omar Rahim, known by the stage name DJ K Squared, played an assortment of Caribbean-themed music. Attendees were taught Socacize routines, a form of dance-exercise to the beat of Soca, a style of Caribbean music from Trinidad and Tobago. Later, more experienced dancers participated in a Whining competition which is another Caribbean dance characterized by fast movements of the hips. As well as music and dance, Caribbean food was provided by the Jamaica Way Restaurant. A photo booth was also set up where attendees could try on festive headdresses provided by the West Indian Students’ Association (WISA). The Association of Part-time Undergraduate Students (APUS) set up a limbo and donated money towards running the event. Many festival-goers also had their faces painted with bright colours and flags from a number of Caribbean countries. Bukky Adeyinka, UTSU New College director, said that she had organized the event with the goal of it being both fun and educational. “A lot of people who go to Caribana don’t know why it’s celebrated,” said Adeyinka. 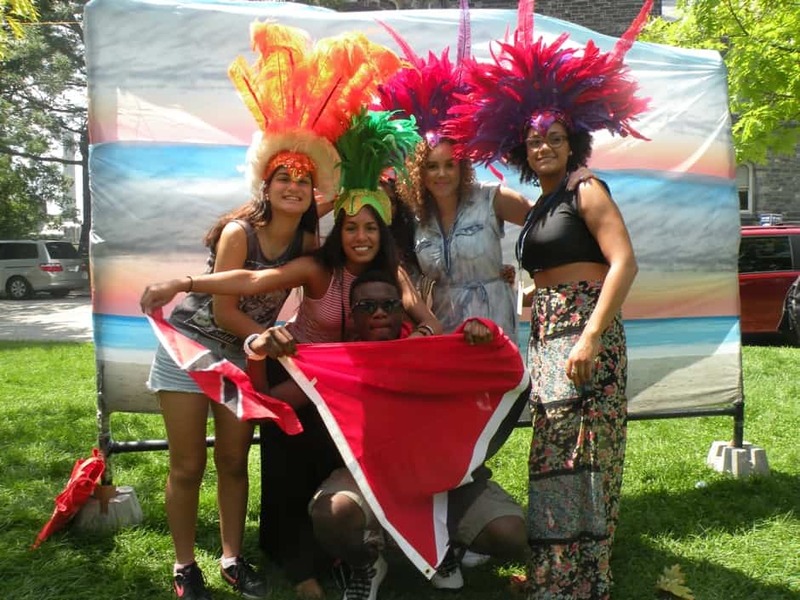 To this end, the Caribbean Studies Students Union (CARSSU) donated a large number of flags to the event, which were hung around the lawn to show festival-goers what countries are involved in Caribana. Adeyinka said she was inspired to organize a Caribana event on campus after watching attendees of last month’s Pride Picnic enjoying the Caribbean music. In the past, UTSU has occasionally organized Caribana events, with the last one being two years ago. According to Adeyinka, Caribbean culture on campus is often overlooked, and the UTSU has a responsibility to share the culture with the broader U of T community.